I spent another three to four hours doing flex the other night. I’m attempting to get a Garrosh kill. On this particular night, I was never able to kill the first boss of flex 4. People wouldn’t know what to do, and that would cause other people to quit. We’d wipe and wipe and then fall apart. After four groups, I gave up for the evening. It was very frustrating. I dislike LFR because it’s boring, but I dislike flex because if other people are bad, you’re just wasting your time completely. If I could just kill him once in flex, I’d leave him be! 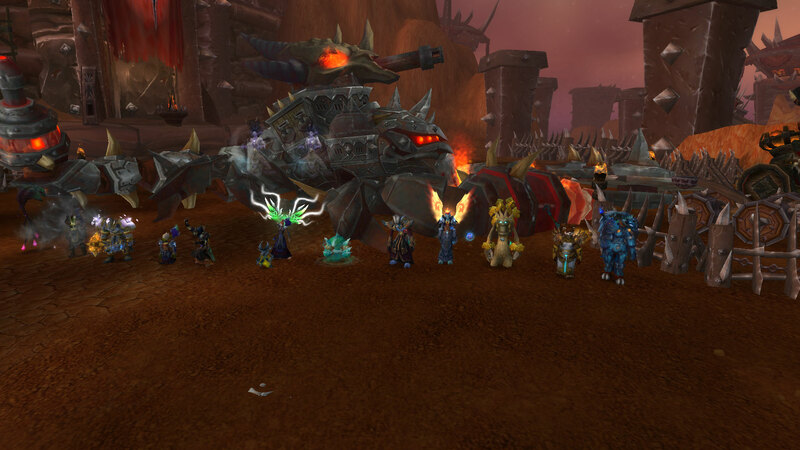 Wednesday we had our one and only attempt on Iron Juggernaut, defeating him! It seemed like a strangely uneventful boss. I’d heard it was easy, but after a boss that had a group leaving to do their own thing in the towers on Galakras with comparatively complex mechanics, I don’t understand why Iron Juggernaut was even there! That said, he’s pretty cool looking, so I guess I get it. You can watch our kill too. I forgot to start the video right at the beginning, but I remembered pretty early. Now that I’ve become the official kill poster on the Carpe Flux Capacitor guild website, I might as well link to our official kill announcement too.